Donât miss this charming 4/2/2, situated in the peaceful shade of an oak tree. 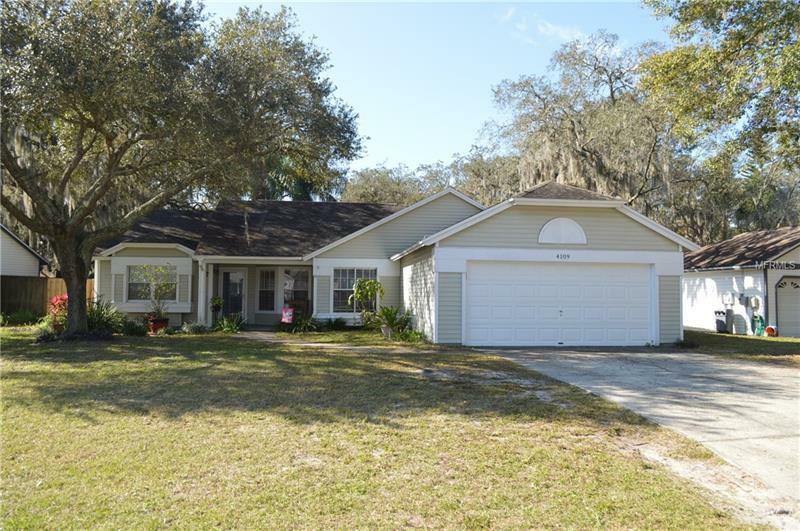 This split floor plan boasts an updated kitchen with granite countertops and gorgeous cabinets. All of the living and wet areas have a neutral ceramic tile that makes clean up a breeze. The formal dining and living rooms provide additional space for entertaining. The master bedroom is carpeted and opens to the master bath that has been beautifully updated. Soak in the garden tub or enjoy the large walk in shower. The additional bedrooms located on the opposite side of the house are generously sized and share a large secondary bath that could also be used as a pool bath in the future. The screened lanai overlooks a privacy fenced backyard and makes a great space for grilling or relaxing. Donât miss this chance to see this great home!